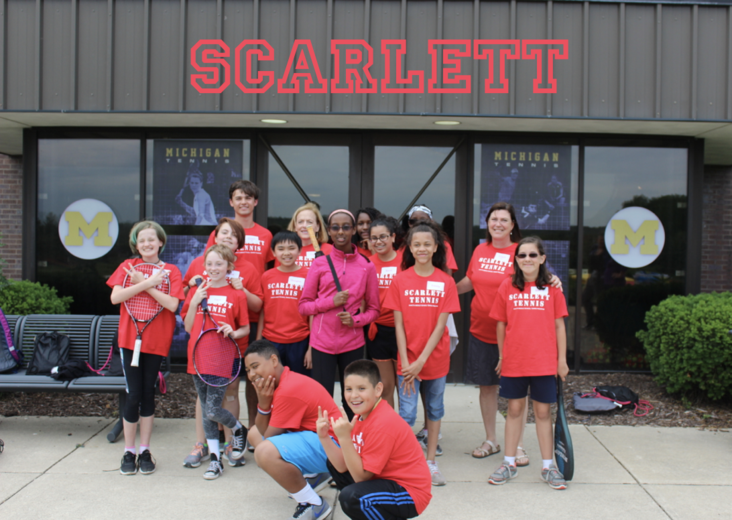 The 2017 Sixth-Grade Tennis Program enjoyed its grand finale event with a fun-filled Ralleyball Tournament at Varsity Tennis Center. 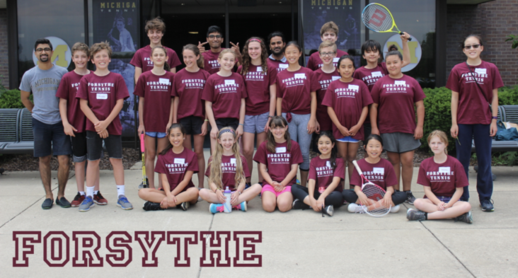 The 6th Grade Tennis program wrapped up its season with an all-school Ralleyball Tournament at Varsity Tennis Center on Friday June 9. 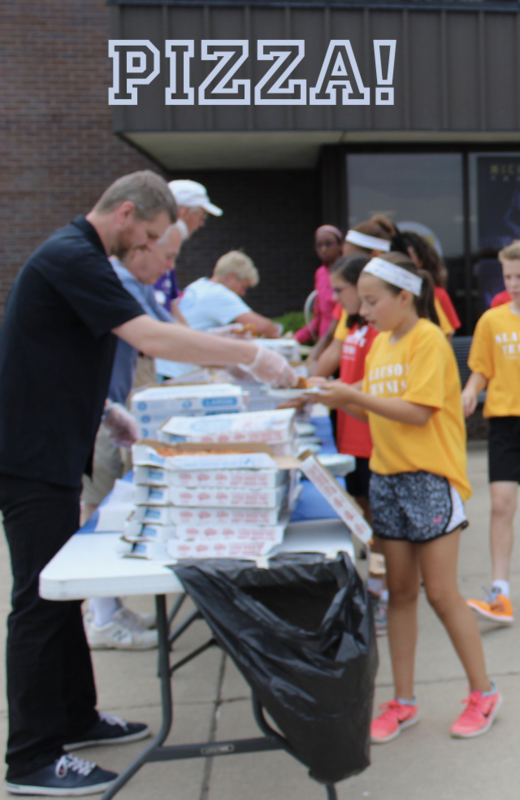 Students had pizza and played six ten-minute rounds of Ralleyball against teams from other schools. Participation in the six- to seven-week program this year was up compared to the last few years. The program was staffed by an enthusiastic group of adult volunteers assisted by a fantastic group of HS men’s tennis players. 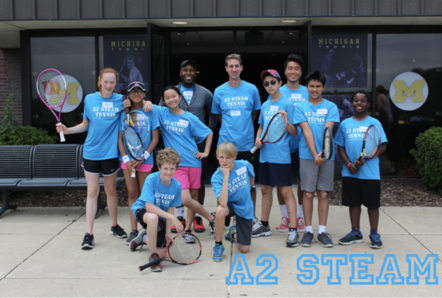 This was the 16th year that AAACTA offered this fun and absolutely free program for beginning tennis players in the Ann Arbor Public Schools. 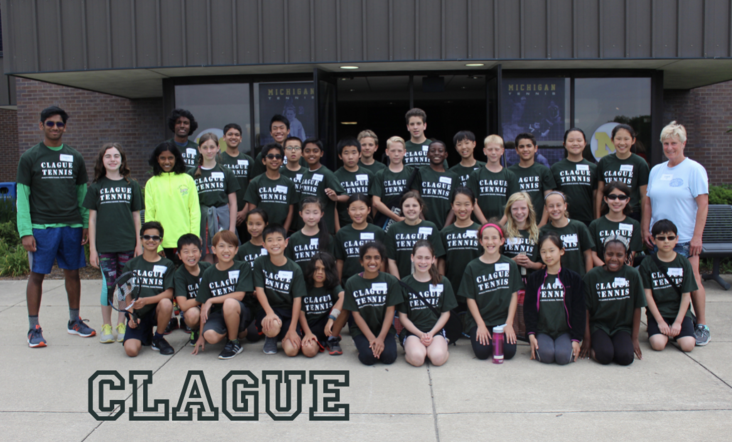 Players and coaches had a wonderful season, and players, coaches, and spectators had a blast at the tournament!